My favourite part of my family get-togethers is seeing the variety of dishes that we each bring to the table. I’m from a Viet and Chinese background, so Saturday’s festivities involved sticky rice, phở, and soy sauce marinated chicken wings to name a few. 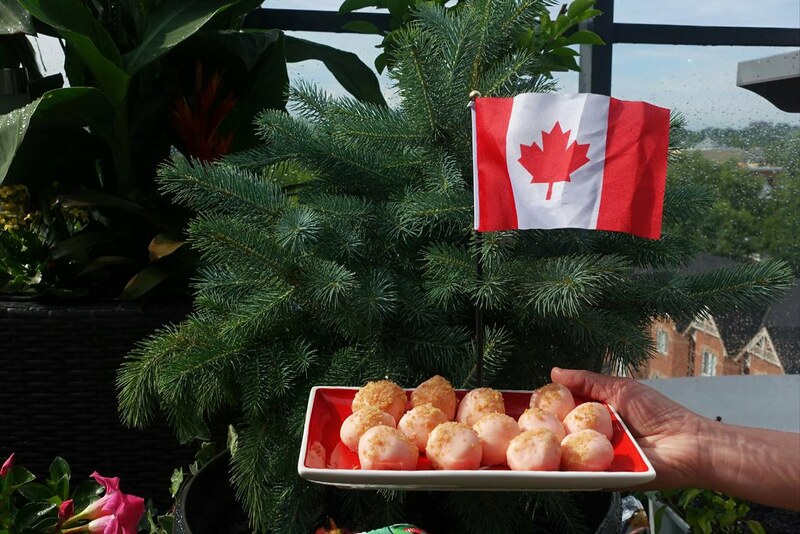 As for my portion of the potluck goodies, I was mighty excited to partner with PC®’s Insiders Collection™ for Canada Day, and of course it involved all-Canadian items! There were items like Montreal steak spice topped burger buns, bacon/maple BBQ sauce and a bacon caesar cocktail! We were all excited to fire up the grill to have a taste of the pre-smoked sausages, filled with the elements of a poutine: cheese curds and fries! 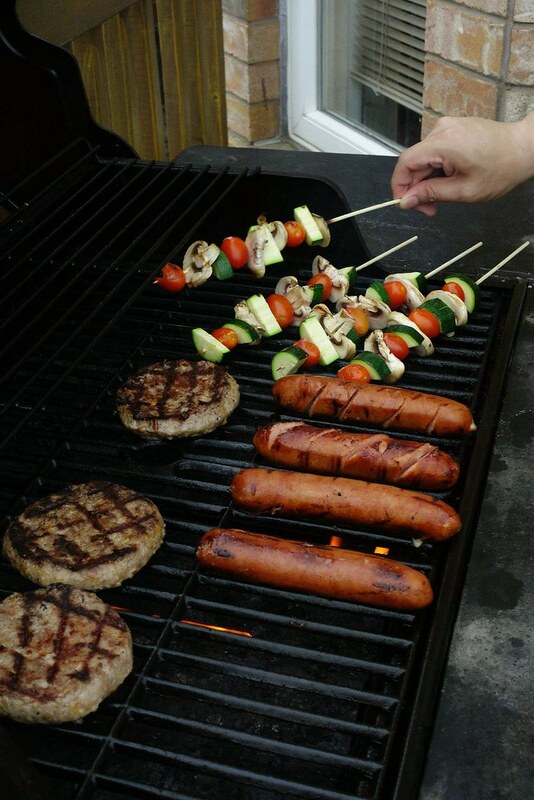 We placed some veggie skewers alongside to balance all of the meat and oils out… It was a hit! To keep all of the hungry adults at bay while the rest of the items finish grilling, crafting a caesar with the bacon-flavoured tomato clam cocktails right before their eyes was the way to go! And for everyone else looking for a lighter option, a de-alcoholized radler lager-style beer with lemonade was a tasty choice! 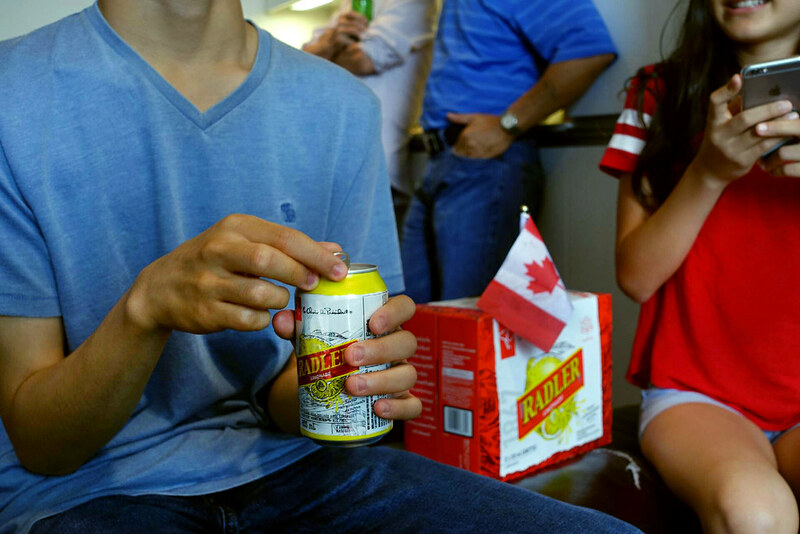 A cheer for Canada Day with our drinks in hand! All of the dishes laid out, we had a feast before us! And many tasty condiment choices such as a tangy mango salsa to plop onto our burgers. Oh, and please pass me the bacon & maple BBQ sauce! To finish it all, we each had a sweet treat of lemon raspberry flavoured cheesecake truffles. 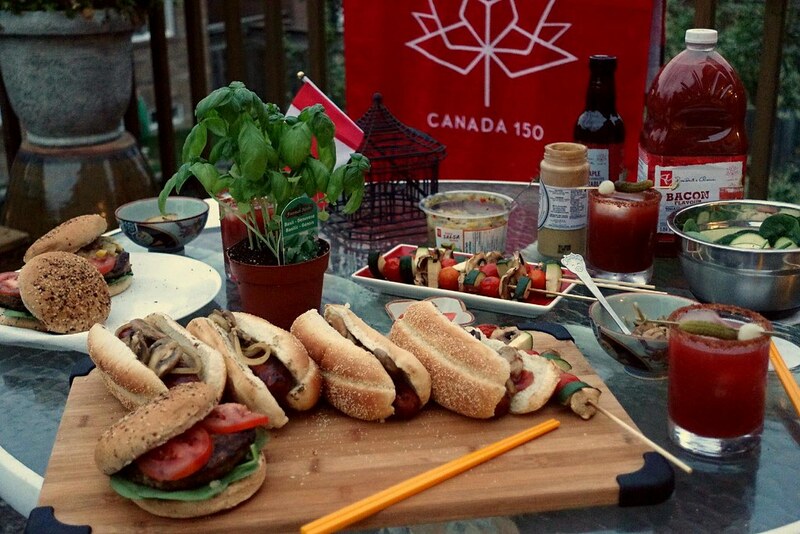 Straight from the fridge, it was perfect one-bite sweets to savour away as we sit back on the patio, #EatTogether and enjoy the celebration of our nation’s 150th birthday! The new additions to the PC® Insiders Collection™ set the tone for Canadian summertime fun, delicious eats, sips and good times outdoors! *This post is brought to you by PC®, and as always, opinions expressed are entirely my own. Thank you for supporting the brands that keep Meet & Eats alive!